Foreign autos are some of the finest vehicles on our highways. As impressive as driving them can be, it can be difficult to find the appropriate service and maintenance. Your import’s service should not be hindered by where you live. It’s not feasible to travel overseas just to get the quality repair services you need for your vehicle. You should be able to get them right here in your own neighborhood. SAF-T Auto Centers wants our customers to know that your foreign auto has a home away from home. Our technicians know how to service your vehicle correctly. Our experts aren’t figuring it out as they go along or practicing on your automobile. 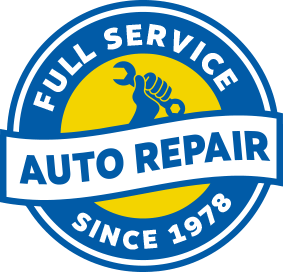 Rest assured that your vehicle is in good hands. There’s no need to return to the expensive dealership. Any repair needs that you have can be handled by us, and we don’t want you to wonder “where” anymore. Receive the same expert-level auto services with personalized attention. We welcome any size import repair, from minor to major. SAF-T Auto Centers is prepared to handle them all. Our technicians will keep you abreast of any maintenance services that will continue to enhance your import’s engine performance. We provide comprehensive care and continue to share any specific insights for your import’s unique needs. Give us a call today to schedule an import repair for your vehicle. One of our three locations is waiting to serve you with of our superior foreign auto services. Our commitment to exceptional customer service and automotive expertise keep our customers coming back. We have built a reputation amongst foreign auto drivers for excellent import repair services. Trust your Audi, Volkswagen, BMW, Porsche, Jaguar, Mercedes-Benz, or any of foreign auto to our team at SAF-T Auto Centers.